The temperatures are rising, the lawnmowers are buzzing, and the scent of grilling is in the air. Summer is on its way. In fact, now that I’ve given my last finals and submitted student grades, I can’t get summer vacation off my mind. I think for many of us, whether we’re teachers, 9-5ers, entrepreneurs, or stay at home parents, summer carries with it a special vibe. Things move at a slightly slower pace, and we find ourselves having campfires, taking trips to the pool, and enjoying coffee dates with friends more often. In order to ensure enough time to enjoy these activities, however, and to fully celebrate these precious few months each year, it’s also important to stay organized. Because by staying organized, you allow more time for spontaneity and play. Yep, you read that right. Organized spontaneity. 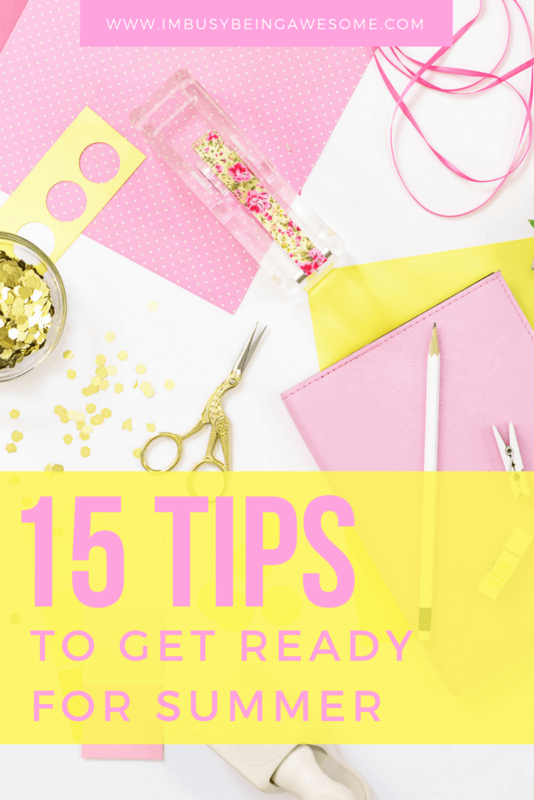 By getting yourself organized before the summer begins, you ultimately waste less time scrambling to “get ready” when those fun summertime activities present themselves. For example, if you decide to have an impromptu beach day, and you’ve already packed your beach bag with plenty of sunscreen, snacks, towels, and toys, you can simply head out the door when the mood strikes. 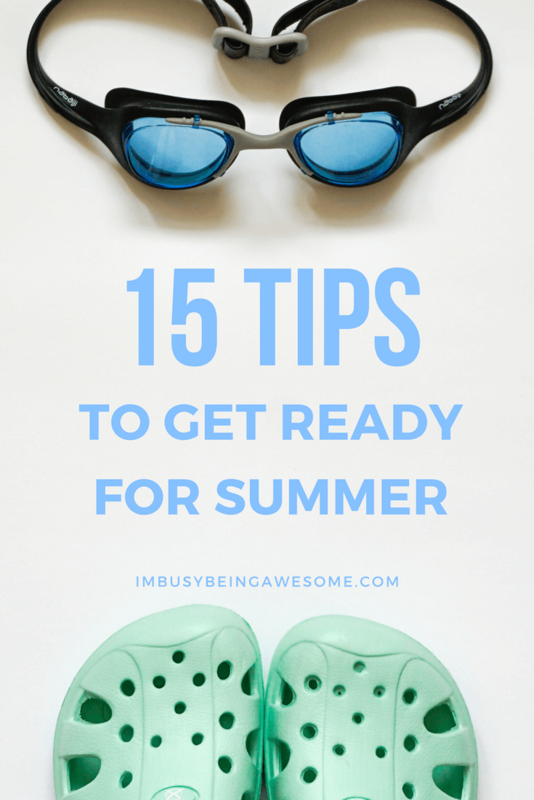 There’s no wasting time searching for your swimsuit or trying to find the sandcastle buckets buried somewhere in the garage. Nope, you’re ready to go. Sound good? I thought so, too. 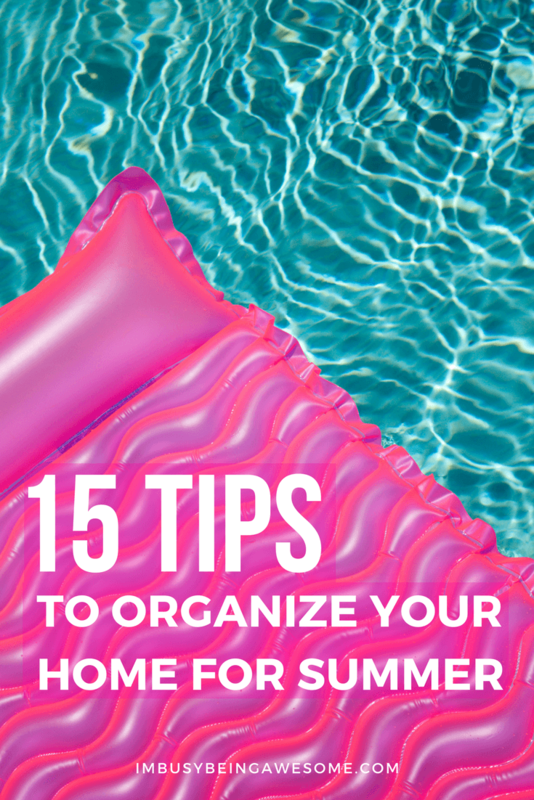 So to help us prepare for this transition to fun-filled days and more flexible schedules, I’m excited to share with you my top 15 tips to organize your home for the summer. Try a few or tackle them all; your future self will thank you 😉. Then, store all of the “school year” items (backpacks, supplies, school clothes, lunch box etc.) in a place that’s out of the way, but easy to find again in 2-3 months. Not only does this help us mentally shift into summer mode, but it also makes our transition back to school much easier in the fall. Double win! *Note: This tip is especially important for those of us who follow the academic year: teachers, school administrators, parents with school-age children etc. With that being said, a quick declutter and storing of winter season “stuff” would benefit anyone looking to stay organized this summer. With everyone at home more often during the summer, it’s easy for things to get a bit “messy.” Books lay around on the coffee table, sunglasses find themselves on countertops, and sandals get left in random places throughout the house. 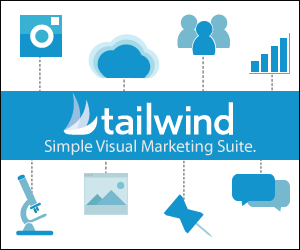 Are you ready for a SUPER easy solution to this problem? You don’t know where it goes. Using drop zones helps to contain visual clutter to a few specific areas in the house. Plus, whenever you can’t seem to find something (like those missing sunglasses, for example) chances are, someone put them in the drop zone. Be strategic about where you place these drop zones by putting them in the most heavily trafficked areas of the house. This ensures that they’ll be used. In addition, try placing one at the bottom of the stairs. That way, the next time you’re heading upstairs, you can just take those items with you as you go. I like using either plastic totes or baskets. And if you have several people in your house, you might even create different drop zones for each person. Just label each tote with a name, and you’re good to go! I know for many of us, summertime means playing at the beach, swimming at the pool, and/or running through sprinklers. Of course, with these fun activities also comes wet swimsuits, towels, and clothes. This simple tip helps prevent the dreaded “forgotten swimsuit” or mildewed towel crumpled up in the bottom of the beach bag. At my house, warmer days often means eating dinner outside. There’s just something about sitting in the shade with freshly grilled food and a cool drink that brings instant happiness. By taking 10 minutes to hose down the patio furniture and wash of the table, you make it that much easier to head outside and enjoy your evening on the deck rather than sitting in front of the television. I’m about to share an embarrassing truth; my husband and I never cleaned off our grill at the end of last season. Because of this (sheer laziness), we weren’t able to take advantage of the few surprise warm days to grill earlier this spring. Learn from our mistake. Get your grill ready for those backyard BBQs. Clean off your grill, fill up your propane tank or purchase more charcoal, and pull out your grilling tools. You might even get some festive “summery” dishes specifically for eating outdoors. By having everything ready to go, you’re that much closer to inviting the neighbors over for an impromptu cookout. Find a large basket or tote and fill it up with everything you might need for a summertime outing. By having these items at your fingertips, you can easily take a detour to the park, go for a hike, etc. When I was growing up, we always had a “toy section” in the corner of our garage. We had a big garbage can that held all of our basketballs, footballs, and soccer balls. There was a set of shelves where we put our rollerblades, baseball bats, sidewalk chalk, etc. And there were large hooks to hang jump ropes, and my skip-it (I’m dating myself here…). Because it was so easy to find our toys, it made heading outside to play that much easier. Whether you have children or not, the same idea still applies. By having all of our outdoor gear easily organized and accessible, you are much more likely to use it. So take an afternoon and tackle the garage. Grab a large beach bag and pack it full with everything you need for the beach. By having your bag ready to go at a moment’s notice, you can take advantage of the next beautiful “beach day” without hesitation. Just grab that bag and go. Summertime means many more activities outside. And unfortunately, this can also mean more bumps, scrapes, and bruises. Therefore, it’s important to be prepared if/when the need for a bandage, Neosporin, or an ice pack arises. There are many great pre-made sets available on Amazon. I have this one in our house, and my husband and I each have this smaller kit in our cars. Are we being a bit excessive? Maybe. But this is one place where I’d much rather be over-prepared. I was talking with my friend Mimi on Saturday about her weekend plans (she blogs over at Blushy Darling, check it out! ), and she told me how excited she was to finally switch from her winter to her summer wardrobe. If you have a yard to tend, take some time to spread fertilizer, clean out the flower beds, and prepare the lawn for the summer months. By prepping early, you’ll help ensure a beautiful lawn all season long. I don’t know about you, but when the temperature rises, the last thing I want to do is spend a bunch of time in the kitchen with the oven on. If you can relate, take some time to find simple, summertime recipes that are quick to prepare and won’t heat up the house. By having these “goto” meals on hand, you’ll have an easier time throwing something together when dinner comes around. My parents got me an instant pot for my birthday a few months ago, and I’ve absolutely fallen in love with it. What’s more, since meals are ready quickly, and it doesn’t heat up the house, this little appliance is a lifesaver during the warmer months as well. If you’ve been on the fence about buying one, I say go for it! The food is delicious, it saves you major time in the kitchen, and there’s no excess heat. You might also start looking for summertime slow cooker recipes. I know, I know. When we think of slow cookers, we often think of cosy winter foods and steaming bowls of chili. But guess what? The slow cooker is quite versatile, and can make many spring and summertime favorites as well! Most of my favorite summer slow cooker recipes come from Taste of Home’s Summer Slow Cooker book. Finally, get out those grill recipes. Grilling is an all time summer favorite, and for good reason, too! It’s delicious, healthy, and simply a FUN way to get cooking outside. As I mentioned a few weeks ago, there are huge benefits to unplugging from technology. And whether that means stepping away for an afternoon, a whole day, or an entire weekend is completely up to you. By prepping ahead and have several fun, non-tech activities at the ready – favorite games, trips to different parks, and plenty of outside activities – you make that healthy tech-free time that much easier. With everyone home more frequently, and with freer schedules throughout the week, this means you can recruit extra help for all of the household chores – woohoo! 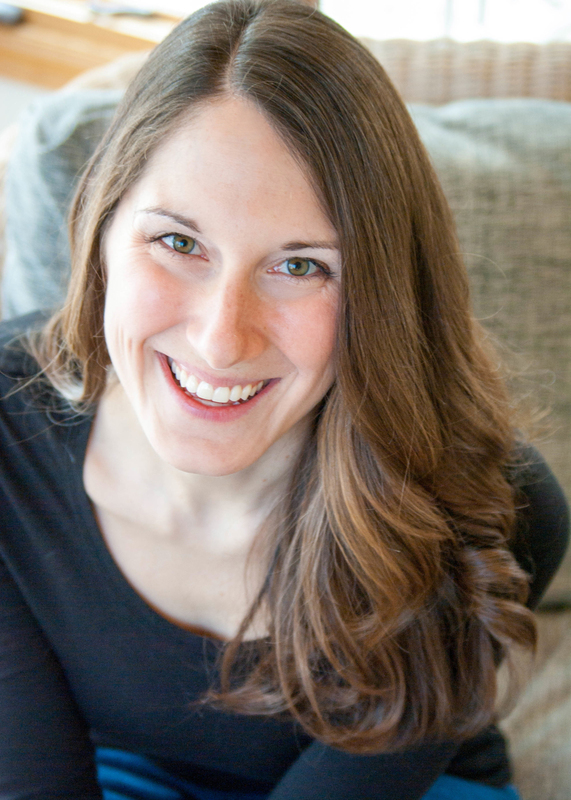 Take advantage of the situation by creating a chore chart so everyone can pitch in. This helps take some of the responsibility off your plate. Plus, when everyone works together, things get done faster, which ultimately means more time for play. Yes please! Often times when I have a wide open schedule without any set plans, it’s easy for me to say, “we’ll do so many fun things this summer!” And then 2-3 months later when the summer comes to a close, I find that I did a whole lot of sitting around not doing fun things. 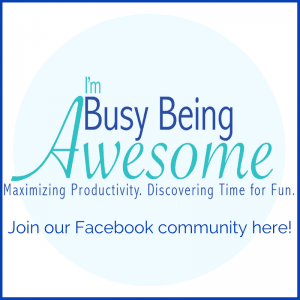 Get Your FREE Bucket List Planner Here! Sit down with your partner, your kids, your friends, etc. and create a summertime bucket list. Take some time to write down everything you want to do that summer: nothing is too big or too small. Then, pull out your calendar and literally schedule those activities. Do it now – don’t wait! Once these fun days are scheduled in the calendar, you’ll be much more likely to fit them in. Plus, it gives you something to look forward to each week! 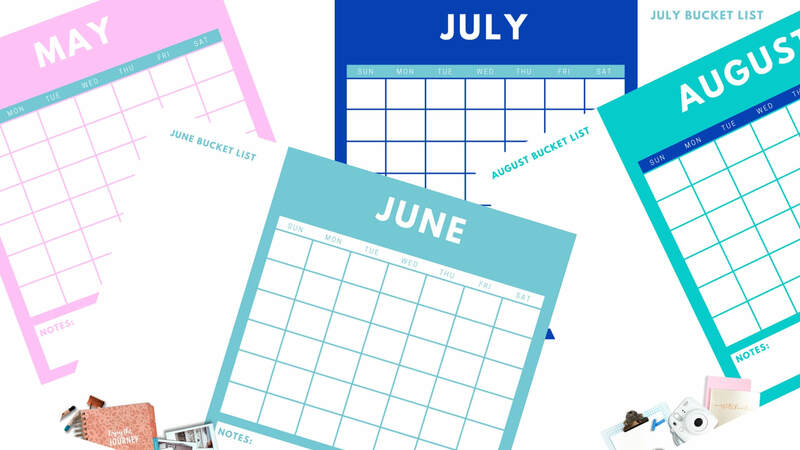 To help you get started on this important organizational step, I’ve created a free 4-month printable calendar for May-August. Grab it here and start planning now! Are you excited for the season? What tips do you have to get your house organized for summer? Does your work schedule change during the warmer months? Let me know below! Paula thanks for posting this. These are all good ones. I hope everyone gets your planner because the bucket list is probably my number 1 for being organized for summer. I keep a list of things to do with kids and things to do in the house. Creating a schedule really helps me not to feel bad when I look up and it’s late August and the whole summer is gone! Thanks, Rose! I’m the same way. If I don’t put fun plans on the calendar, they simply won’t happen. And then you blink and summer’s over. I love your tips! The drop zone is a neat idea and it’s always important to have things to do especially if you have children. Slow cooker meals are also helpful for quick easy dinners! Prep the beach bag! I love it. Such a great idea. Oh yes the chore charts are coming for my teenagers! Such great ideas! I’m so ready for summer now! I love the hooks idea and I need to build a car kit! Thanks! Yeah, the hooks are so helpful to avoid the dreaded “forgotten swimsuit” at the bottom of the beach bag. Ha! 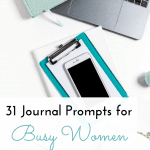 Such a great and thorough list! I love the drop zone idea so much! There are always random piles building up in our home and it drives me crazy! I need to organize and file for sure, but also clean off the patio furniture so my family can enjoy the beautiful weather we’ve been having! We are getting ready to change an office into a mudroom and I can’t wait to create a few drop zones in the new space. Thanks for sharing these great ideas! I am SO ready for summer! Love the car & beach kits! My kids are nearly grown and I STILL do not have my act together! Thank you so much for the tips. I know once the kids are at home during the summer months, my house because even more chaotic. I love the drop zone idea! I am going to be looking for baskets to implement that idea. These are all fab tips. I’m definitely going to figure out a summer bucket list. And I like the idea of a summer car kit. I love your lists (because I am a “list-er”, too). I have a few drop zones in my house. I find them incredibly helpful (and they keep from tripping over random items). This was super helpful! I love purging my house an making things more organized! This is about that time of year I get the urge to re organize everything! Thanks for sharing! Absolutely! I’m so glad you found it helpful. Good luck!! 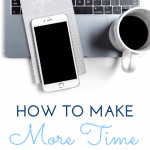 I lso spend the weekend spring cleaning the WHOLE HOUSE if that can help motivate you! I’m talking the full house, I did it with my sister and it still took 3 hours! hahah Thank you so much for the shoutout, I’m glad it was motivating! I also love the drop zone bucket, such a great idea, I’m very organized but my sister isn’t and she’s always losing stuff so it would be nice for her (and me) to have a place to drop all her mess! These are such great tips! 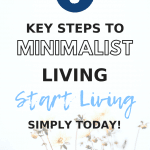 I especially love creating a summer car kit and washing off your patio furniture – ours is so gross right now and whenever it’s nice and we want to eat outside, we always decide not to since we don’t want to take the time to clean it off. But taking the time to clean it off in advance would be so helpful! !